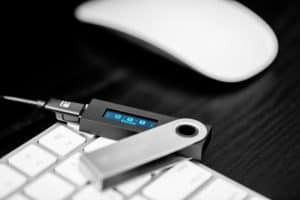 Leading hardware wallet manufacturers Ledger has recently announced the potential layoff of up to 10% of its support staff as the production of its latest hardware wallet, the Ledger Nano X faces delays. Ledger has had a proven track record of success, showing strong growth across all business verticals and bringing in an impressive $75 million from a seed funding round in 2018. Ledger follows other cryptocurrency companies in cutting back on staffing costs. Late last year, blockchain based content sharing platform Steemit laid off 70% of its staff after expanding too quickly during the bull market, only to experience difficulties once sentiment reversed. Likewise, crypto exchange and hardware wallet competitor company ShapeShift also announced plans to let 37 employees go after the company had grown by 3,000% in 2017, which was no longer sustainable. Now, following one of the worst bear markets the industry has seen, it seems Ledger is facing some financial difficulties too. Local sources reported that Ledger’s board held a meeting to discuss the future direction of Ledger, the best allocation of its workforce, and how to pivot the business in the future. Comments from Eric Larchevêque, CEO of Ledger, implied that the company was reorganizing and potentially seeking to lay off 10% of its support staff. However, Larchevêque did also comment that “nothing has been stopped,” and rather the company was instead just considering a restructure. Further comments from Larchevêque implied that Ledger would instead focus on engineering and product development. So, with Ledger seemingly performing so well, and the new Ledger Nano X nearing release, what catalysts have caused Ledger to tighten its belt? One theory, like many other cryptocurrency companies, is that during the ecstatic bull market phase in late 2017 – early 2018, Ledger experienced a huge surge in sales, selling over 1 million Ledger Nano S units in 2018, and scaled up accordingly. This would make sense, as the number of newcomers to the crypto market was profound during this time – with many new holders looking to store their crypto securely. However, we know that the market corrected as quickly as it grew, and subsequently, demand for crypto’s and hardware wallets would have likewise experienced a steep decline. Others have pointed to production difficulties which have forced Ledger to delay distribution of its new hardware wallet, the Ledger Nano X, until further notice. Ledger claim this is due to parts which failed to meet their quality standards. Ledger is shipping free Nano S devices to all those who pre-ordered a Ledger Nano X, and while Ledger hasn’t specifically stated what the nature of the part failure is, the delay in production is no doubt affecting aspects of the business. This is a slight setback for the French cryptographic security firm, however, with strong fundamentals and a proposed layoff of just 10% of the workforce, it’s likely that in the short-term, these layoffs will give Ledger some room to grow financially. The true test will be the success of the eagerly awaited Ledger Nano X, including whether it arrives according to its updated release date, and how well the device is received upon release. Initial reviews have spoken highly of the new wallet, and with a slight crypto market recovery in the last few weeks, it could be the perfect time for Ledger to cut back ready for a new growth phase – time will tell. Ledger Considers Laying Off 10% of Its Support Staff As Production Falters was originally found on Cryptocurrency News | Tech, Privacy, Bitcoin & Blockchain | Blokt.